Cell phone use in the car can easily create a distraction for the driver and lead to an accident. In 2009, a study out of Virginia Tech Transportation Institute (VTTI) reported that when drivers text, they are 23 times more likely to have an accident. Every time a driver sends or receives a text, their eyes leave the road for an average of 4.6 seconds, according to the VTTI. For a driver traveling 55 mph, that would be the distance of a football field. The same study revealed that looking away from the roadway just prior to the occurrence of an unexpected event is responsible for up to 90% of crash and near-crash events. The bottom line is that operating a motor vehicle on a roadway is serious activity and texting while driving can be very dangerous. Many cities have enacted legislations to reduce texting and driving and make the streets safer. In February of 2014, The Austin city council ordered the creation of the Distracted Driving Study Group. This group was tasked with researching methods to strengthen the existing distracted driving ordinance. The language of the current law on distracted driving is below. 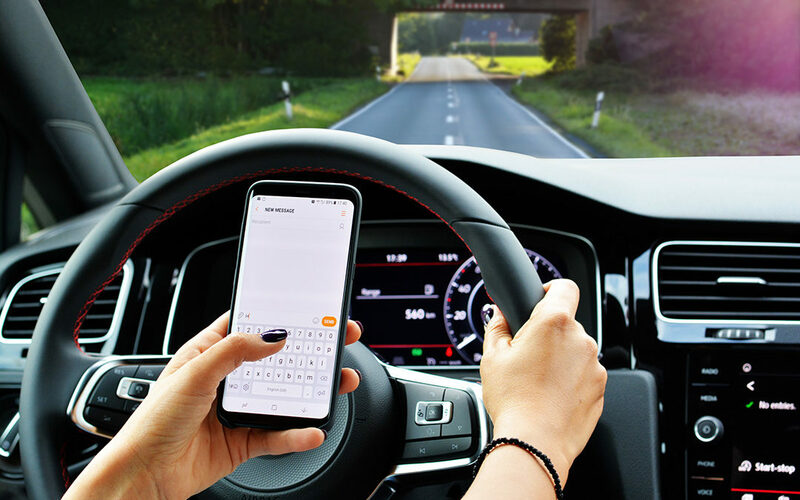 Currently in Austin, driving while talking on your cell phone is permitted, but drivers are prohibited from texting, scrolling, emailing and otherwise putting their smart phones to work while their car is in motion. It is conceivable that strengthening the current code would ban talking on a cell phone all together and require drivers to use “hands-free” technology as other states and countries have adopted. While it may be an inconvenience, it could clearly make the streets and roadways of Austin a safer place. If you have been involved in a car accident where the other driver was texting while driving, it is important to act quickly. Contact an experienced car accident attorney to help you fight for your rights. § 12-1-34 ELECTRONIC MESSAGING WHILE DRIVING. (A) A driver of a motor vehicle may not use a wireless communication device to view, send, or compose an electronic message or engage other application software while operating a motor vehicle. (7) solely in a voice-activated or other hands-free mode. (C) This section does not apply to an operator of an authorized emergency vehicle using a wireless communication device while acting in an official capacity. (D) To the extent that this section conflicts with the Texas Transportation Code Section 545.424, regarding the use of wireless communication devices while operating a motor vehicle by minors, or Texas Transportation Code Section 545.425, regarding the use of wireless communication devices in school crossing zones, this section does not apply. Source: Ord. 20091022-028; Ord. 20091217-090.